You may think that a novel about homicide isn't exactly something that could get you in the holiday spirit. And you probably think that there's no way a story about a Christmastime murder could also be funny. Stephanie Naman is here to prove you wrong. 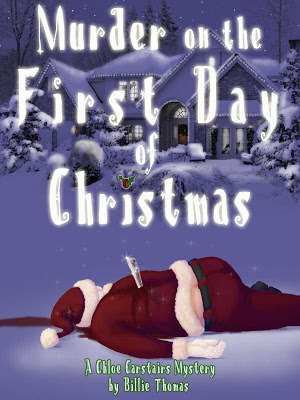 Naman's new book, Murder on the First Day of Christmas by Billie Thomas, cleverly mixes humor, homicide and the holidays to make for the perfect murder mystery and a great vacation read. Set in Birmingham, Alabama, the novel follows Chloe Carstairs and her mother Amanda, two decorators who find themselves in the middle of a homicide investigation after two of their clients are killed. Chloe and her mom soon become amateur sleuths determined to crack the case. The first of a series of Chloe Carstairs mysteries, this book is filled with laugh-out-loud humor, romance, irresistible mother-daughter banter, and a bit of Southern hospitality for good measure. 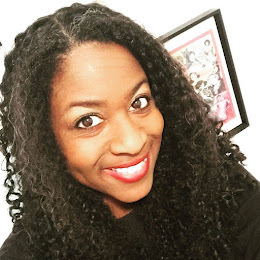 I recently had a chat with Naman, a Birmingham resident who published her book under the pen name Billie Thomas, about the series, her writing, the Magic City. Tell me a bit about how you came up with the idea for this story. My mom and I always traded mysteries back and forth and one day, out of the blue, I asked her to collaborate on writing one with me. I think I surprised us both, since I’d been struggling to write another book and hadn’t planned on putting that aside, much less starting a project with my mom. We had something of a rollercoaster relationship, but the idea of a fun, funny mystery with a mother-daughter relationship much like our own, appealed to both of us. Why did you decide on a Christmas murder mystery and how did you get the idea for Chloe and her mom to be interior designers? My mother wasn’t a professional decorator, but she could’ve been. She had great taste. 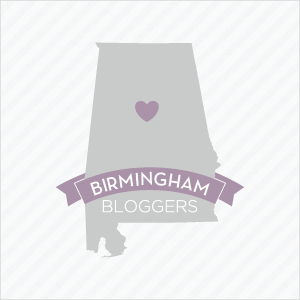 And several years ago, I wrote a monthly column for Birmingham Magazine about some of the most beautiful homes in town. I got to interview a lot of interior designers, including one who did Christmas decorating like the kind Chloe and Amanda do in the book. Since this is going to be an on-going series, being decorators will get my main characters into a lot of houses, where they can find lots of skeletons in the closets. I love reading all the Magic City references! What do you think makes this city a great setting for a story like yours? I love Birmingham and want everyone to know what a great city it is. It’s a character itself – often underestimated, full of surprises. Another Birmingham author, the late Anne George, was a master at using Birmingham as a backdrop for her stories. She was a definite inspiration. Even though this book is a murder mystery, it’s also hilarious and I’ve always envied humor writers. Any tips on how to be funny on the page? The better you know your characters, the easier it is to find the humor in your story. The way they relate to a situation or to other characters are great sources of humor. Chloe, for instance, is self-deprecating and a little ditzy. Amanda is more sophisticated and has a dryer sense of humor. Their differences make their banter funny, but their affection for each other keeps it light. Let’s talk about your writing process. How long did it take you to write this book? Did you have a writing routine that helped you complete the project? The first draft just flowed out in a couple of months. It was a joy to write. I’d work on a chapter, send it to my mom, she’d make suggestions and I’d rewrite. Easy. I workshopped it with my writing group and looked for an agent, getting some lovely, mystery-series-are-a-hard-sell-right-now rejections. We put the book aside for a few years and I worked on other things. Since then, I’ve become a lot more disciplined with my writing – writing every day unless work is out of control. A thousand words a day is my goal but I often do more if the story is taking off. And it never takes off if I’m not writing consistently. I keep a journal and scribble ideas all the time, so I have a stockpile to refer to if I get stuck. Why did you decide to go with e-publishing with an independent press instead of self-publishing or going after a larger publishing company? At the last few writers’ conferences I’ve been to, indie publishing has been the hot topic. It’s no longer waving the white flag and admitting you can’t find a traditional publisher. It’s a way to take the reigns of your own career – something that’s right up my alley. Because my book is the first in a series, I thought it would be perfect to start with. When my mom died unexpectedly of an aneurism at the end of 2011, I became more determined than ever to see it published. My friends were using an independent press and it felt like a head-start on the process. I could get my manuscript professionally edited and not have to learn all the formatting that goes into self-publishing. Plus, we could cross promote – always a good thing. What advice would you give to those out there who are looking to get published? Connect with other writers. I love writing but it’s not the solitary experience everyone thinks it is. You need to workshop your early drafts and network at conferences. You need people to commiserate with when rejections start rolling in. And you’ll need connections to help you market your book – which you’ll have to do yourself whether you go the indie or the traditional publishing route. I’ve met some of the best, most creative and generous people through writing – my See Jane Write girls included. My mom’s name is Billie and my Dad’s name is Thomas. They both have been so encouraging of my writing, it seemed like a nice way to honor them. I’m so thankful I have this series because working on it makes me feel close to my mom. If I ever hear that a daughter loved it and passed it along to her mom, or vice versa, saying “this is so us”, I will be thrilled. I’ll bawl my eyes out, probably, but sometimes I do that when I’m thrilled. I'll definitely be checking it out! Congratulations Stephanie! I so know how it feels to get rejections and how it feels to finally hold you book in your hand. Your mom would be so proud of you! I look forward to getting the book and reading it. People are really get into busy at the holiday time in every sort of the side. In the right homepage you will get to know about the generate any format service. place where you will get the most perfect creative agencies at any time. yeah it is true that it is not all about you and it is more than you rather than the whole society. Click here http://www.typingrates.com/guide-for-selecting-virtual-typing-services/guide-for-selecting-virtual-typing-services/ to get online typing service.